How Do I Take Notes During Calls on My Samsung Phone? You have probably had moments when you are on your phone and need to jot down important information for later use. While you can write it on a piece of paper (if you have one nearby), using the default memo app that comes with your Samsung phone’s software is a better option. By using the app, the note is attached to the contact, so you will see it on-screen every time you call him or her. Furthermore, you no longer need to carry notes on paper with you or worry about losing them. 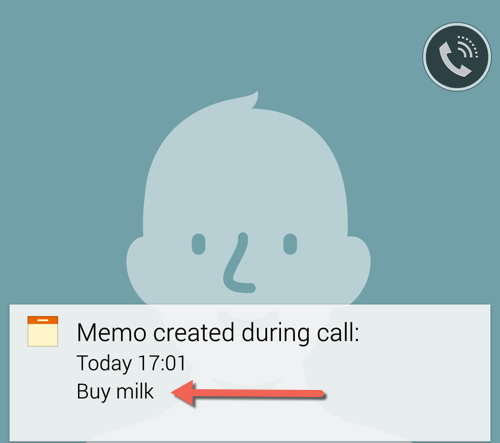 Learn how to use the note feature during phone calls in this tutorial. 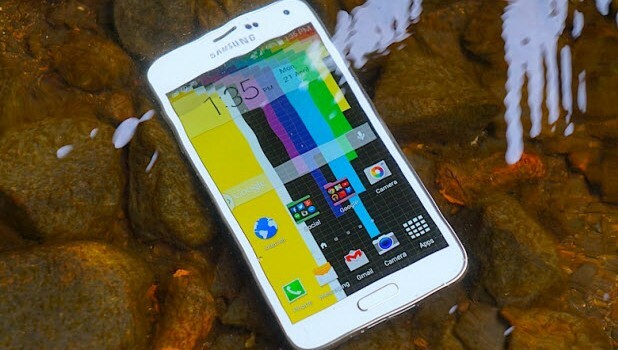 This tutorial is written for Samsung smartphones running Android 4.3 and above. 1. Call the desired contact on your phone. 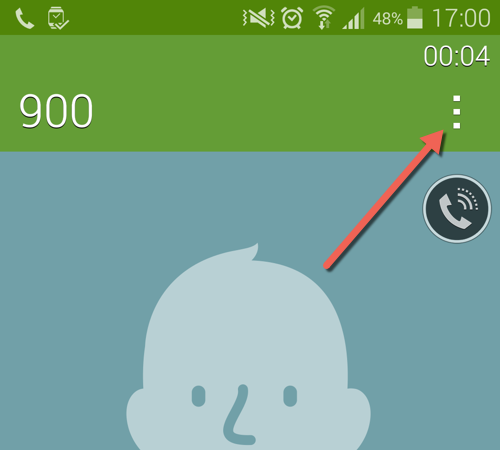 After he or she picks up the phone, you will see a three-dots icon near top right of the screen. Tap on it to open the context menu. 2. Choose the Memo option in the context menu. 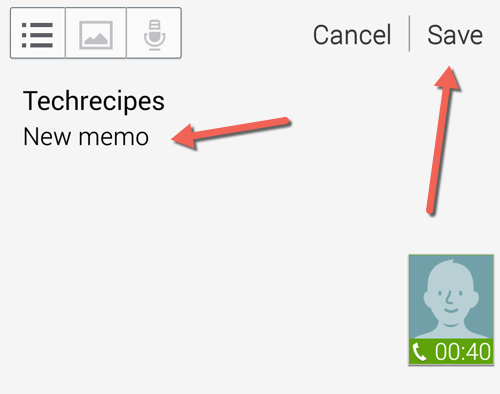 This action will launch the built-in memo app on the phone, allowing you to add note to the call. 3. Initially, the memo app fills in the default title name and the content of the note. Tap the title to edit it, and then fill in the note’s content below. When you are done, tap Save. 4. Return to the call, and you will see the note is displayed on the call screen. This note will appear not only for the current calling session but also others in the future. 5. To remove the note from the calling screen, tap on it during a call, and then choose the Delete option from the menu in the next screen. This method, however, requires you to first call the contact before you can delete anything. 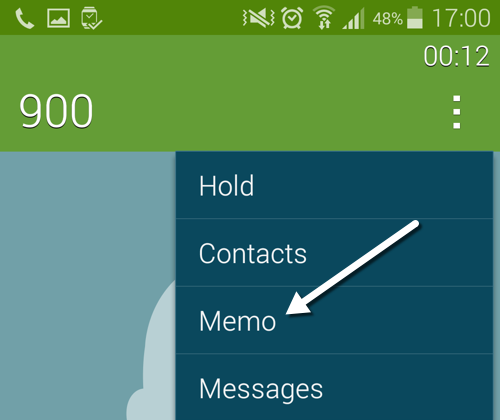 The easier method is to launch the Memo app and delete the unwanted notes from there. By using the app, you can delete notes in bulk.